Send us the documents you would like to have translated. We perform a source text analysis and get back to you with details about your specific project. For new clients, we provide a quote and contract. After an agreement on specifications has been reached, we proceed to translate your project. Our expert team of revisers performs a full comparative revision Source vs Target Text. We do an additional proofreading and deliver the final product to make sure we exceeded your expectations. 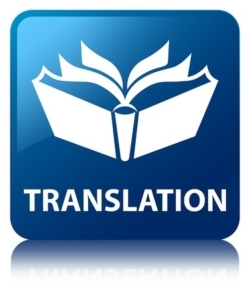 Do you know what it takes to obtain high quality translation and interpretation Services? Have You Claimed Your FREE COPY? Our CEO & Founder Lola Bendana has written two books that are impacting the way things are done in the Translation & Interpreting industry. She is setting a new standard for the quality of service in the language sector. 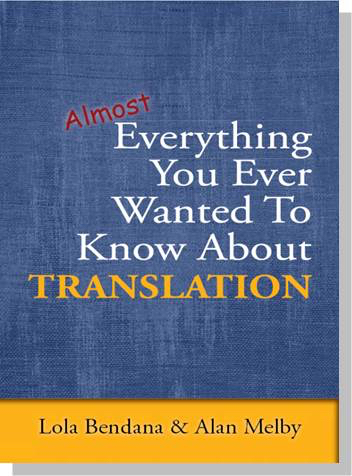 The first book is Co-written with Alan Melby and was created to share knowledge with those interested to learn about translation. In Almost Everything You Ever Wanted To Know About Translation, Lola Bendana & Alan Melby share powerful insights, strategies & best practices for the Translation industry. The Second book was Co-written with Helen Campbell with the goal to teach industry professionals on how to get it right when contracting Conference Interpreting. 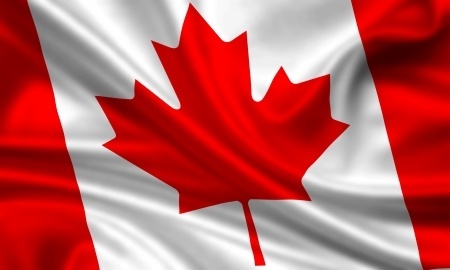 We are a Canadian Certified Translation and Interpretation Service Provider. Every translation project follows a strict quality control and quality assurance process from initiation to project closure. With our extensive network of human resources we will provide the right professional translators, revisers and editors for the job in more than 150 languages. We specialize in French Translation services. Even though most of the work we do is English into French translation, we translate on a daily basis into multiple languages. We are a Certified Translation and Interpretation Service Provider. We can help you translate your documents into any language in an efficient and professional manner. If you require a quote for translation, please submit the material (or a sample of the material) to be translated to our office or call us with the details. Prices vary according to language, text type (nature of document), length, format and linguistic complexity. Multi-Languages provides high quality translation services. Our corporation is a Certified Translation Service Provider (TSP) under the ISO Standards for Translation Services ISO 17100 which replaces the European Standards for Translation Services, EN 15038 Certification. We were certified under the European Standards since 2008 until the launch of the 17100. We are also certified under the Canadian Standards for Translation Services CAN CGSB 131.10 (Canadian General Standards Board). We are Canada’s leading Certified Translation and Interpretation Service Provider. We are a Certified Translation and Interpretation Service Provider and are proud to work with Canadian translators. Very rare exceptions for languages of lesser diffusion and localization projects. Our translations of French documents to be used in Canada are 100% done by Canadian translators rather than by translators outsourced from other countries. We offer top quality French Translation services. The selection of translators, revisers and proofreaders are essential defining factors for quality assurance. Canadian documents to be translated from English into French or French into English must be translated in Canada as quality should not be risked for price. At the end of the day, International outsourcing becomes more expensive due to unexpected problems such as lawsuits or unpredicted mistakes that may require a new translation. The process of transposing words from one language to the other, keeping the closest natural equivalent to the source language in both meaning and style. The process of adapting a product or software to a specific international language or culture so that it seems neutral to that particular region. True localization considers language, culture, customs and characteristics of the target locale. It frequently involves changes to software’s writing system and may change keyboard use, fonts, date, time and monetary format. The process of altering or “adapting” a document to a local market to make it fit with the regional culture. The process of generalizing a product so that it can handle multiple languages and cultural conventions without the need for redesign. Design and implement a product, which is culturally and technically as “neutral” as possible to easily localize for a specific culture. Person or organization for whom the message is produced in the textual form. Refers to the overall process used to create the deliverables. Monolingual reading of the target text. It is an additional tool on the Quality Assurance Process, however, it can never replace the revision process. Language in which the source text is written. Language into which the source text is translated. Translated Text. Result of the translation process in the target language. Class assigned to a document to be translated in relation to the function and purpose of the translation. The Text type determines the translation strategy. Person who renders the meaning of a written text from a source language into a target language by producing an equivalent target text that retains the elements of meaning, form, functionality and tone. A translator does not necessarily work as an interpreter. We are a Certified Translation and Interpretation Service Provider. The degree to which the characteristics of a translation fulfill the requirements of the service specifications contained in the client-TSP agreement and follow the specified Quality Assurance process. 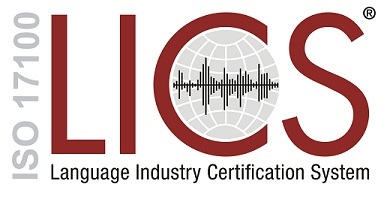 We are proud to be a Certified Translation and Interpretation Service Provider that only produces the highest quality language services. Individual or organization providing translation services. The smallest unit in the source language that has an equivalent in the target language. A social level of language. A translator has a choice as to which register of a language he/she translates in. Speakers of languages are sensitive to registers of language and can feel solidarity with people who speak in a register with which they are most familiar, or alienation from one with which they are not. Two possible registers within some cultures would be those of the sophisticated elite and the common working class. Native language or equivalent to native, used as source and target. Other than native, perfect command, used as source and in some cases as a target. Languages A and B are known as Active languages. Complete understanding but only use as source. Language C is known as Passive languages. We are proud to be a Certified Translation and Interpretation Service Provider that goes above and beyond in everything we do.